I wasn't sure it would flower this year as some buds dropped off during transit. However, one bud survived and now it's opened out and it's a beautiful colour. I'm hopeful that it will lots of blooms next year. There is a yellow flowering magnolia that I pass when I go to town.. it's now a big tree and looks spectacular in the spring.. 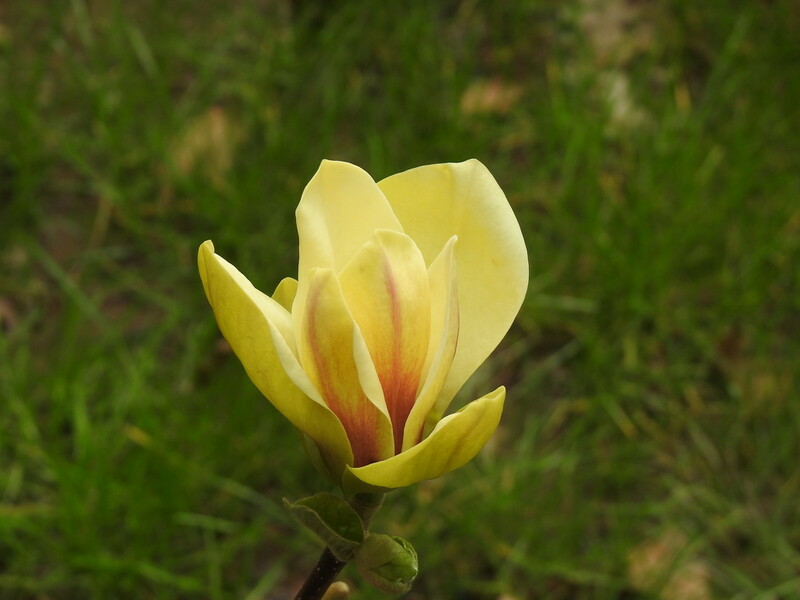 I've never seen a yellow magnolia before .. it's beautiful ! So unusual. You must be thrilled. how exciting. Do they grow into big trees where you are. Do you plant them out or keep them in pots. So very beautiful, gorgeous colour. Fantastic capture and flower. Fav. Well worth the outlay! Beautiful.